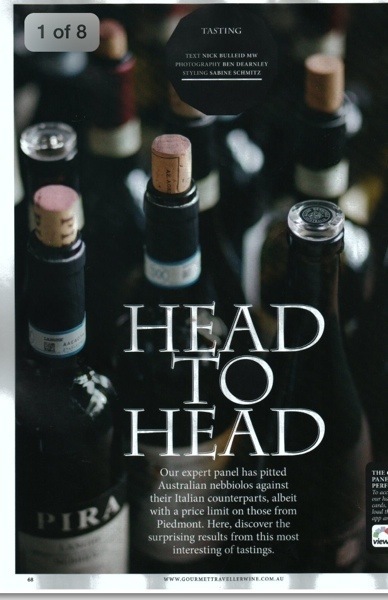 2013 Benevelli Langhe Nebbiolo has arrived in Oz….! That is why I think Massimo and myself have become good friends. Massimo’s wines are becoming harder and harder to buy. With international demand for his wines growing every vintage (and whilst we still manage to get a great allocation for Australia) it means that demand far exceeds supply on all his wines. In the USA, he has been picked up by legendary wine importer Kermit Lynch which is great for Massimo and I have no doubt it will reach a stage where the wines of Piero Benevelli will become as scarce as hens teach. 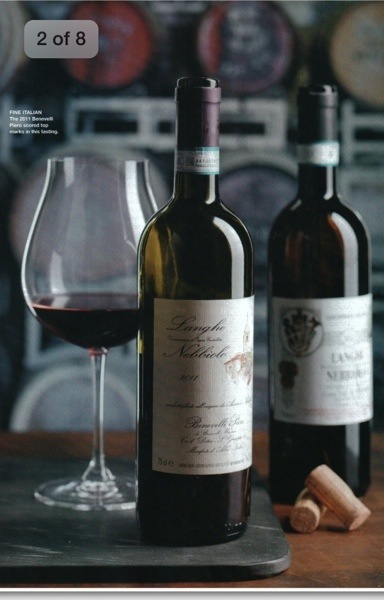 The 2013 Langhe Nebbiolo from Massimo is a great illustration of what he is capable. The word that instantly springs to mind is unforced. It is unforced in that it is not trying to be something it is not. Nebbiolo stripped back in it’s purest form. In this form this grape variety has fantastic fragrance, well defined tannins and a depth of palate which will enable it to age for many years. 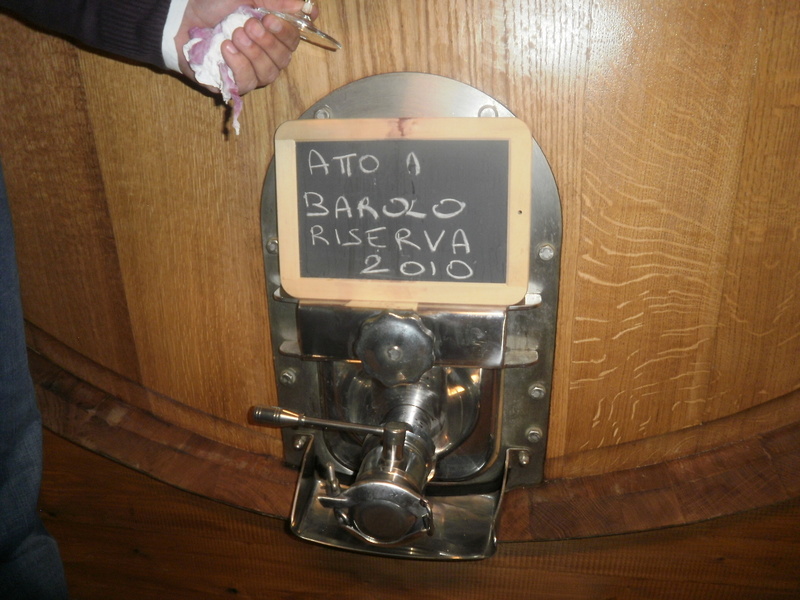 The 2013 Langhe Nebbiolo is Nebbiolo stripped bare and presented in it’s purest form. 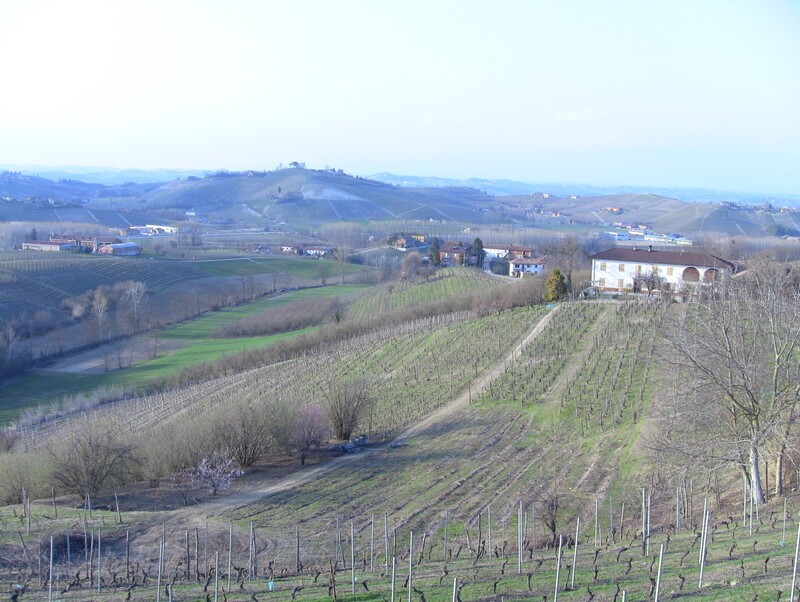 Over the last few years I have written a lot about Massimo Benevelli and his wines. 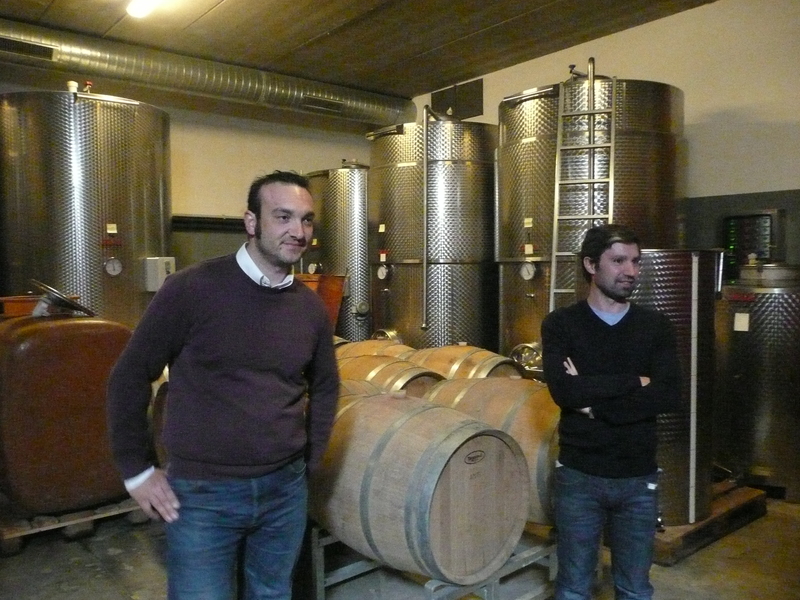 We import them with pride and the wines speak of Massimo and Monforte. 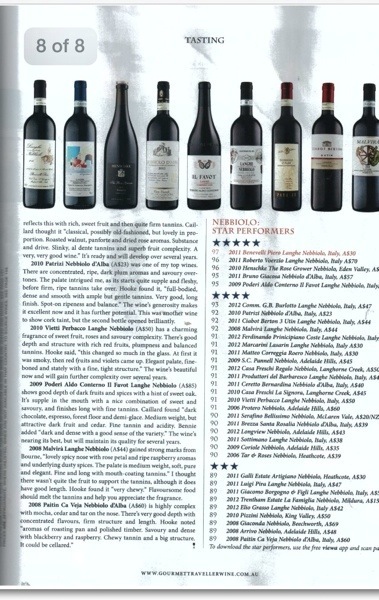 So today when we found out that his 2011 Langhe Nebbiolo was the top wine with 97 points in the latest Gourmet Traveller Wine Magazine Nebbiolo Tasting, we couldn’t have been any happier. Once news broke of this score, all the stocks we had were gone within a couple of hours. Whilst this wine has sold out, the. 2012 is on the water and should be available in Oz in around a month. If there was one wine that bowled be over on a trip to the Langhe earlier this year, then hands down it was the Piero Benevelli Langhe Nebbiolo 2011. This wasn’t the most expensive wine I tasted on the trip: in fact it will retail for $30 in Australia. What blew me away is that this wine has serious complexity, structure and Nebbiolo fruit tannins that made me do a double take when I tried it. It was amazing wine and as soon as the wine past my lips I twisted Massimo’s arm for a large allocation for the Australian market. Massimo Benevelli knows how to make wine. He has been running the winery for many years and at 35 years old, he is an old head on young shoulders. He is not a person who wants the limelight. Rather he is crafts some amazing wines and let’s the wines do the talking. The 2011 Langhe Nebbiolo certainly does that and this wine highlights just how talented Massimo is. 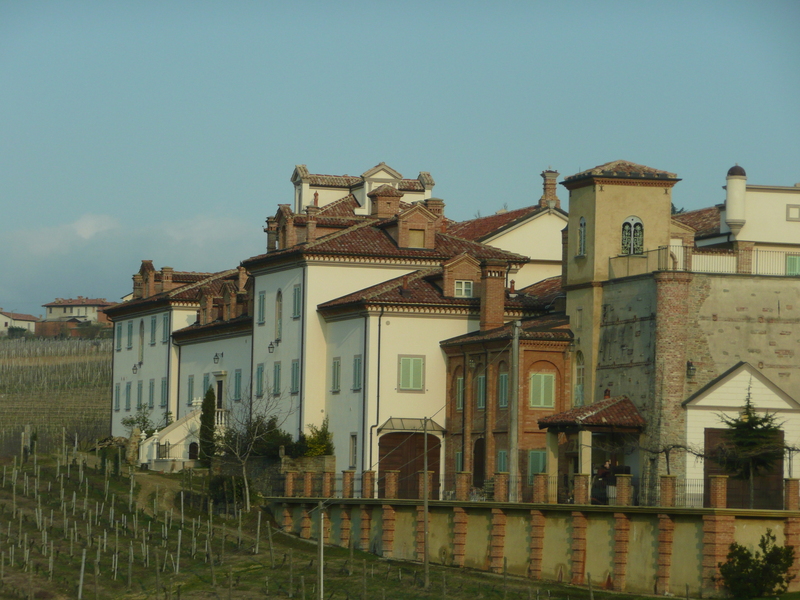 The historical town of Monforte. 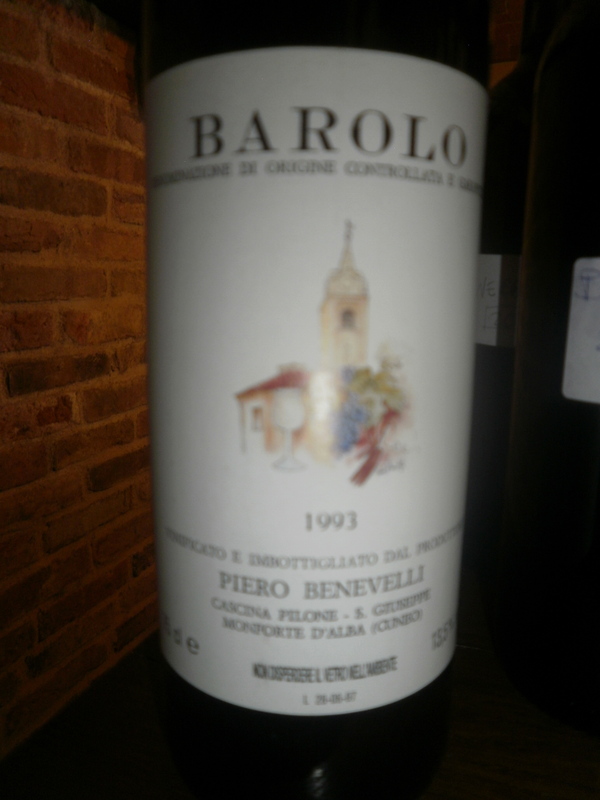 Perfumed, intense, underlying power, intense red savoury fruits, benchmark tar and roses balanced by bright acidity. This wine has just landed in Australia and it will be interesting to see this wine now in Australia and I can’t wait to see it in four or five years bottle age.